Your journey is about to begin! 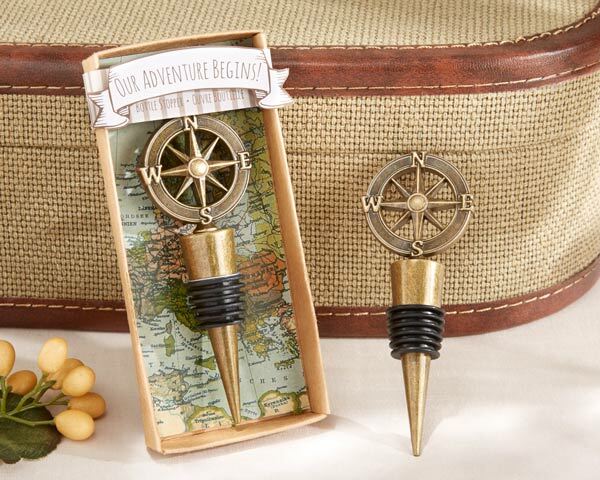 Commemorate your big day and future adventures with this "Our Adventure Begins" Compass Design Bottle Stopper. 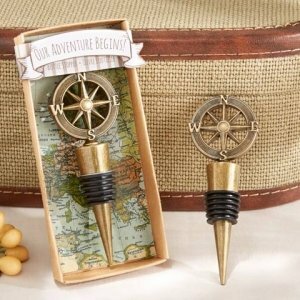 The metal bottle stopper features a charming compass motif in a world map themed gift box that tells of all your adventures to come. The antique bronze finish will make this a favorite in the home of your guests. Product dimensions: 2.5" W x 5.25" H.